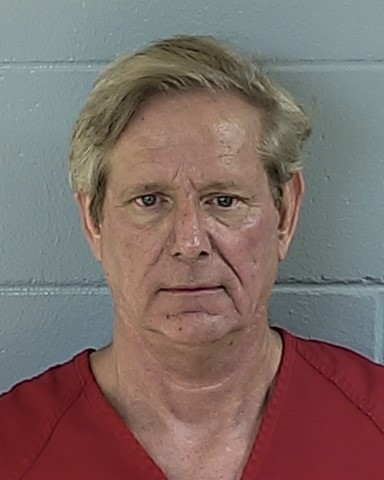 David Allen Christopher 8-22-55 of Inglis, Fl was arrested by LCSO Deputies on 6-25-13 in the early morning hours for Attempted First Degree Murder and Arson. Deputies responded to 14251 SE 85 Terrace in response to a 911 call from a distraught female. The caller told communications officers that her boyfriend came home from the bar intoxicated and they began to argue. While in the living room of the home, Christopher approached her from behind and poured rubbing alcohol on her and the floor next to her and attempted to light it with a lighter. Unable to get the accelerant to ignite, he went into the bedroom and began to destroy it. Christopher was able to ignite the mattress while the female hid in the bathroom. Christopher fled the home and attempted to lock the door lock preventing the victim from being able to exit. As the smoke filled the home, the victim was able to flee to safety by removing the key Christopher left in the lock. Christopher was located on the property and taken into custody. The home, owned by Christopher was not able to be saved by fire personnel and was a complete loss. Christopher is being held at the Levy County Detention Facility on a 2 million dollar bond. 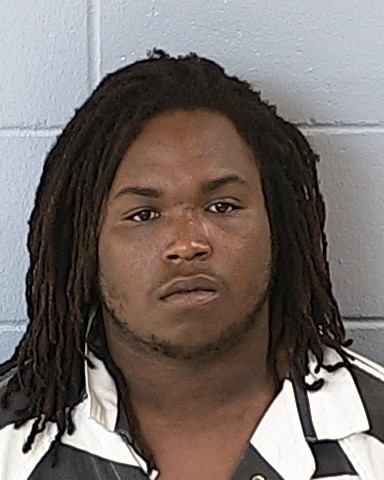 Devonte Tremaine Ocasio 6-11-93 was formally arrested yesterday on the 6 count indictment delivered by the Levy County Grand Jury on Friday afternoon. The true bill delivered last Friday listed the following charges: First Degree Homicide, Attempted First Degree Murder, 3 counts of Aggravated Battery with a Deadly Weapon and Aggravated Assault with a Deadly Weapon. A total bond of 3 million dollars was assigned for all of the charges except the First Degree Homicide. NO BOND was assigned to that charge. Ocasio will be held in the Levy County Detention Facility until his trial which has not yet been scheduled. On June 10, 2013 at approximately 10:00 a.m. Levy County K-9 Deputy Kevin Kinik arrested Johnny Lee Patterson at the Bronson Motel located at 315 E Hathaway Ave. Dep. Kinik was aware that Patterson had a warrant for his arrest for VOP stemming from an earlier arrest for Dealing in Stolen Property and Burglary. A tip had been given that Patterson was currently in room 16. Upon contacting the occupants of that room it was determined that Patterson was not there. The manager told Dep. Kinik that room 24 was being occupied by an unregistered tenant. The manager opened room 24 to allow Dep. Kinik to conduct a trespass investigation. Dep. Kinik assisted by Dep. Noel Ramirez, discovered the room was occupied by Patterson and a female companion. As Dep. Kinik entered the room to take Patterson into custody he observed a clear plastic bag of a substance that appeared to be cocaine and cash. Dep. Kinik placed Patterson into custody along with the female companion identified as Kiara Hicks B/F 6-7-93. Dep. Kinik requested the assistance of Levy County Sheriff's Drug Task Force who prepared and executed a search warrant on room 24 and recovered 4.6 grams of crack cocaine with a street value estimated at $960 and $154 cash.